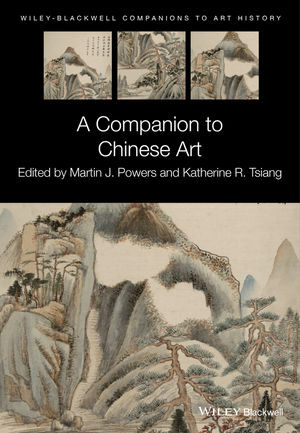 Exploring the history of art in China from its earliest incarnations to the present day, this comprehensive volume includes two dozen newly-commissioned essays spanning the theories, genres, and media central to Chinese art and theory throughout its history. Martin J. Powers is Sally Michelson Davidson Professor of Chinese Arts and Cultures at the University of Michigan, USA, and former director of the Center for Chinese Studies. His publications Art and Political Expression in Early China (1991) and Pattern and Person: Ornament, Society, and Self in Classical China (2006) have both received the Levenson Prize for the best books in pre-twentieth century Chinese Studies. Katherine R. Tsiang is Associate Director of the Center for the Art of East Asia in the Department of Art History, University of Chicago, USA, where she coordinates research materials and programs. Her research is concentrated in the fields of Chinese Buddhist art and Chinese medieval art and visual culture. Her work includes using new technology for digital imaging and reconstruction of Chinese Buddhist caves and she is curator and author of the catalog of the exhibition "Echoes of the Past: The Buddhist Cave Temples of Xiangtangshan" (2010).